pasta Archives - Page 2 of 13 - A Life From Scratch. The intent is always so lovely, isn’t it? I know eating meat every night is not great for a variety of reasons so there are many recipes I really do try and skip the meat. 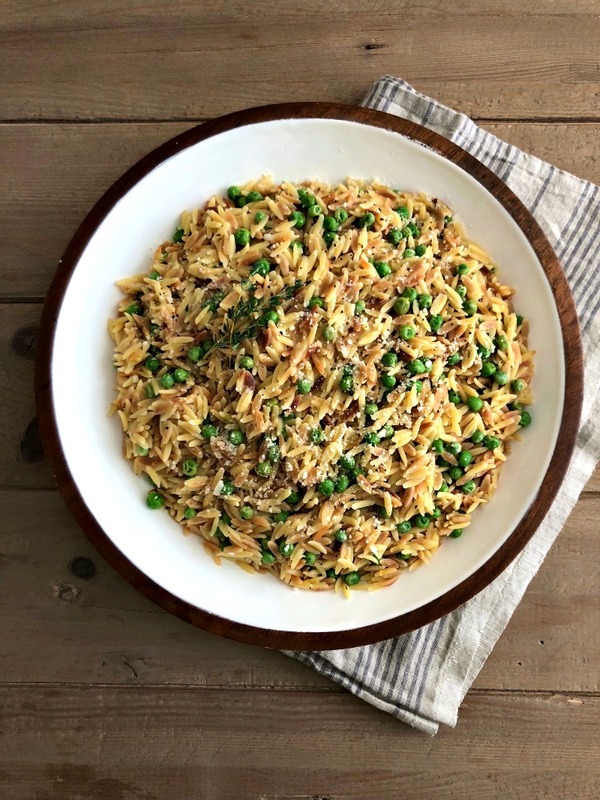 Like this Spring Orzo Pasta with peas. It is completely delicious on it’s own and is the perfect solution for Meatless Monday. And yet, you know what I thought would just go oh so perfectly with it? I know, I KNOW! I fail at Meatless Monday. But you don’t have to. You can be better in life than me. You can make this beautiful recipe all on it’s own and have yourself a lovely meatless meal. Because that is exactly what this is. Bright spring flavors of lemon, thyme, and peas. Not to mention freshly grated parmesan and cracked black pepper. This has a lot of things going for it. With or without the meat. In a skillet over medium heat, add the olive oil and pasta. Cook, stirring occasionally until toasted, about 30-60 seconds. Add garlic and stir it in followed by broth and thyme. Bring to a boil, cover the skillet with a lid and turn down to a simmer for 8-10 minutes or until the pasta has absorbed almost all the stock and is tender. Remove the lid and add the lemon zest, juice, and peas and stir until the peas are bright and cooked. Add the cheese and salt and pepper to taste and serve warm. 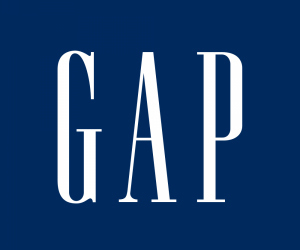 So, did you see? 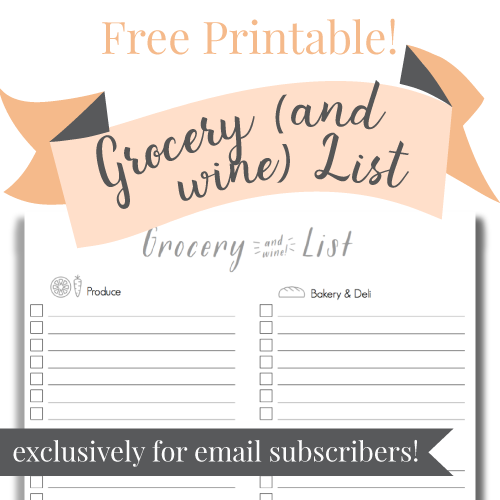 My first weekly meal plan was emailed out to all subscribers of A Life From Scratch. I so hope you were on the list and don’t worry, if you weren’t there is still plenty of time to sign up. We’d love to have you on board! I will do my best to stick to the schedule each week. Nights may come up where due to our schedule I’m not actually cooking but I wanted to give a full menu plan for six days of the week for inspiration! I hope this is helpful. And now for a little inspiration for our Taco/Mexican Tuesday which is just around the corner! (Ahem, tomorrow). 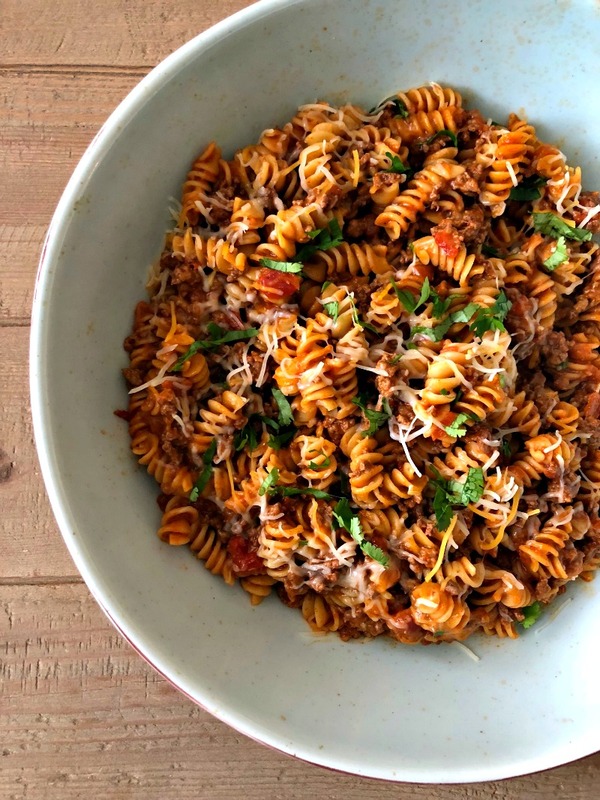 One pot cheesy taco pasta anyone? I know. Guys, this one is oh so good. It’s so easy. It’s super family friend. And it’s in ONE pot which of course means not a lot of clean up, yippee! It’s a great weeknight (read: Tuesday) meal. Get this one going in your own home for taco Tuesday. Promise you it’s a nice change up from the actual taco concept, but still keeps the whole theme in check. Gotta keep it current am I right? Get the olive oil going in a deep sided skillet over medium heat. Brown up your ground beef with some salt and pepper. One browned, drain the fat and stir in the taco seasoning mix, the water, and the salsa. Bring to a boil and stir in the pasta. Cover, and reduce heat to lower. Simmer away for 15 minutes. Once done, remove from the heat and stir in your cheese. Top with your choice of toppings and enjoy! So many requests for this recipe from my Instagram story, I knew I had to get it up ASAP for you all! If you watched me make it on there, you already know that it’s incredibly easy to throw together. Minimal fresh ingredients that slow cook together all day is my jam. And then the magic happens at the end. 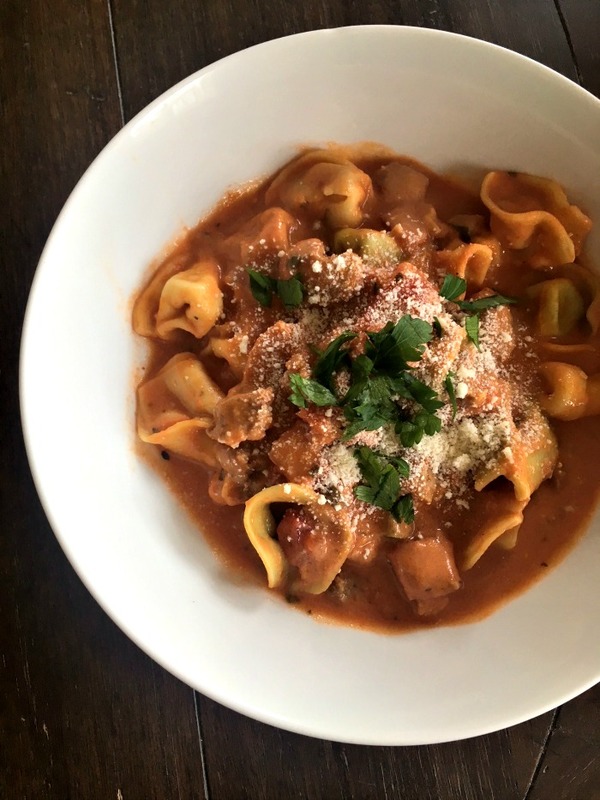 You get to stir in some fresh tortellini along with a pack of onion and chive cream cheese which gives it a hint of richness and makes it oh so creamy and comforting. Top with some fresh parsley and parmesan and dinner is good to go. Saute together the italian sausage, zucchini, and onion in olive oil in a larger saute pan over medium heat. Once almost browned, stir in the garlic and seasonings. Transfer to slow cooker along with the chicken stock, tomato soup, and diced tomatoes. Cook on low for 7 hours. Near the end of the cooking time, add in the fresh tortellini and cream cheese, mix together, and cook an additional 20-30 minutes on high heat. Serve in deep bowls along with some fresh parsley and parmesan. Another week, another soup. Anyone getting tired of them? I so hope not, as I have no intention on stopping. Soup is my jam on cold days and I’m convinced nothing is better than a homemade bowl of soup to warm you up. 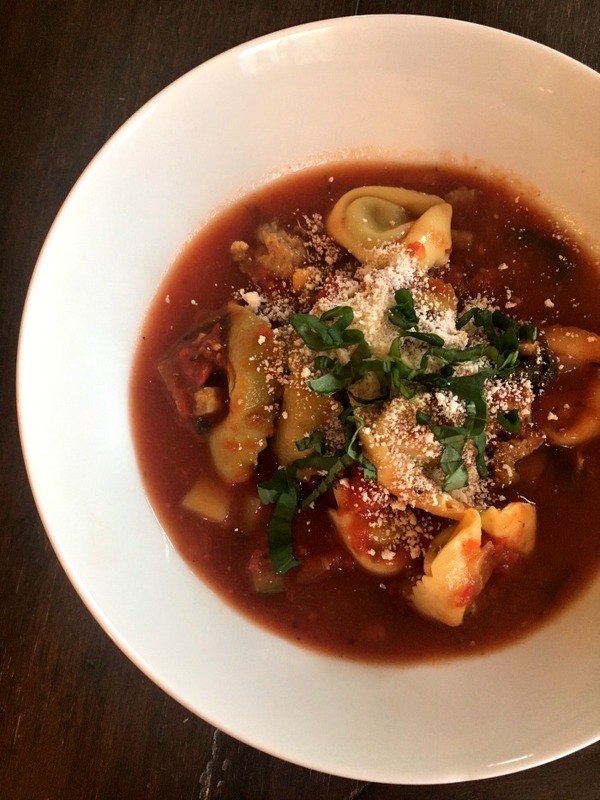 This week I bring you a slow cooker Italian tortellini soup. 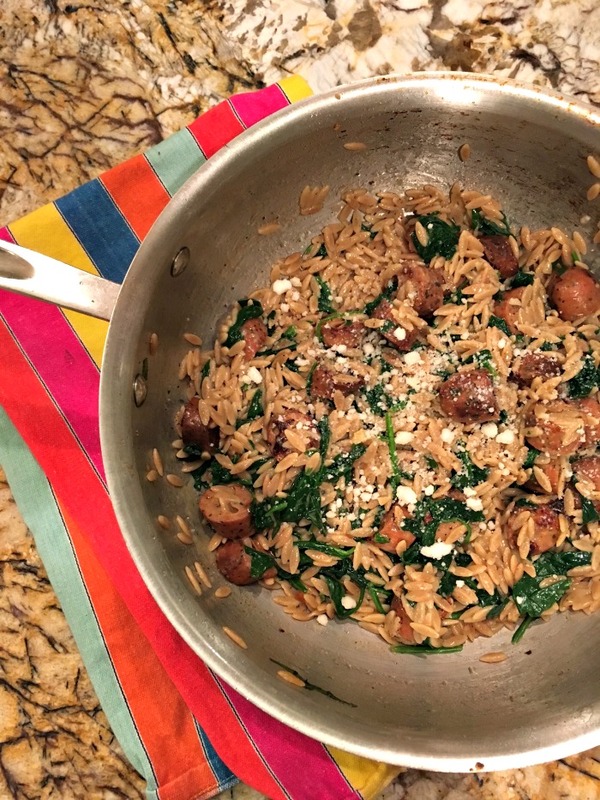 It’s got all the right things: good, basic ingredients that slow cook all day to yield a satisfying yet healthy dinner. In the end you stir in some fresh tortellini and spinach to give it a little more heartiness and brightness. So. Good. Get this in your meal rotation this week. I’m writing out the original version for you. I ended up doubling mine for leftovers and to share with friends, although the original version belows makes a really good amount as well. Enjoy! Heat a saute pan on the stove with a little olive oil over medium heat. Add in your sausage, breaking it up as you go. Cook a few minutes until roughly browned and add in the onion and zucchini to soften a bit. Then add in garlic for another minute or so. Season with Italian seasoning, salt & pepper, and a pinch of red pepper flakes. Remove from store and pour into slow cooker. Add in all remaining ingredients, up until the tortellini. Cook on low for 7-8 hours or high for 3-4. Near the last half hour or so, add in the tortellini. Five minutes or so before serving, chop up the spinach roughly and stir in. Serve in deep bowls topped with lots of fresh parmesan. Enjoy!